Do you remember my recent abandoned Old Railway Track Part 1? A photography walkabout from Teban Gardens to Sunset Way Railway Bridge? It was a fun, exciting and challenging photography walkabout, searching, documenting and photographing the abandoned Old Railway Tracks of Singapore. 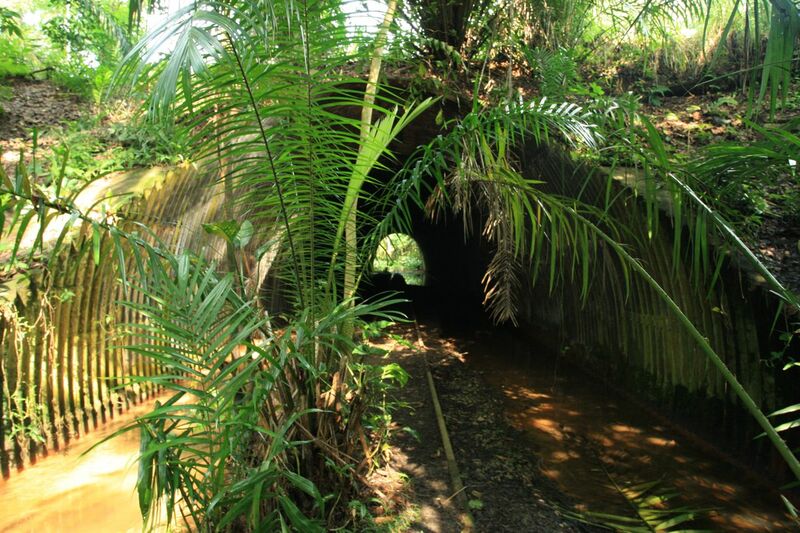 In my Part 2 series of Abandoned Old Railway Tracks, the 2nd leg starts from Sunset Way Railway Bridge, following the Old Railway Tracks along Sunset Way HDB Estate into the Clementi Woodlands before trekking out into the open near the Bukit Timah area, connecting to the active KTM Railway tracks. This stretch of Old Railway Tracks is part of a bigger blueprint of “We Support The Green Corridor“, making lots of effort and awareness tools, sharing and showcasing the need to preserve the greenery, flora and fauna, animals and wildlife residing inside this Green Belt. Trekking through the Clementi Woodlands today, this is something we have to do, to preserve our history, forests, flora and fauna, not just for us, it’s for our future generations. The trek wasn’t easy due to the muddy terrain, fallen tree trunks, logs and branches, uneven terrain, whereby trekkers might have to climb up and down terrain in order to hike. No doubt it was quite a physical challenge, we were blessed with beautiful greenery, fresh air, wildlife, flowers and tranquility. I was joined by Jingwen and Leon, exploring this stretch of Abandoned Railway Track Part 2 and it was a fun photography walkabout experience. Due to the nature, intensity and difficulty of this trek, those planning to trek this route, please be prepared for muddy conditions, uneven terrain and natural obstacles. Wearing the appropriate attire and gear (e.g trekking pole) and suitable shoes (e.g. hiking boots) is a MUST if you are planning to trek. It was great to see history being preserved, the Old Railway tracks surviving the test of time and nature’s growth. Some old icons were spotted, rubbish, littering and pollution can also be spotted along the trek. Let’s spread the word and awareness, let’s keep this beautiful green belt, our unique green corridor, giving us an avenue and area to enjoy greenery and tranquility in our concrete jungle. 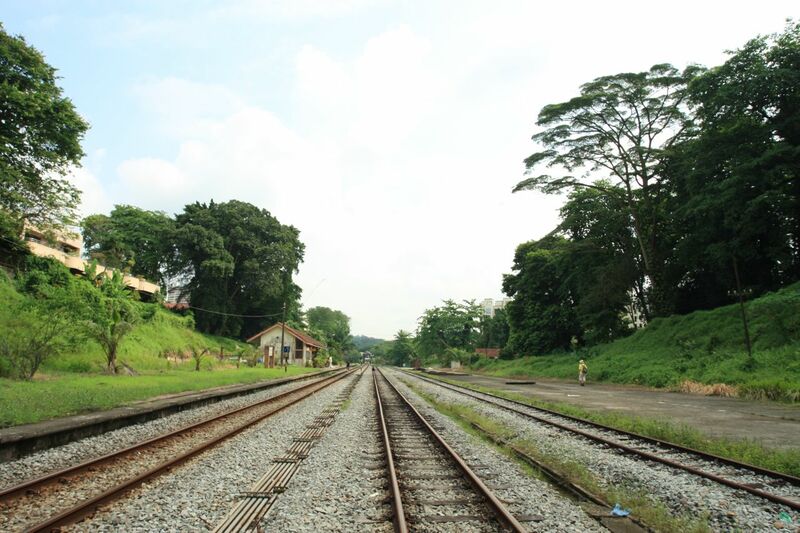 Trekking out into the active KTM Railway Track, we continued our hike up to Bukit Timah Railway Station, the straight and open Railway Tracks, going to be an integral part of Singapore’s history soon. 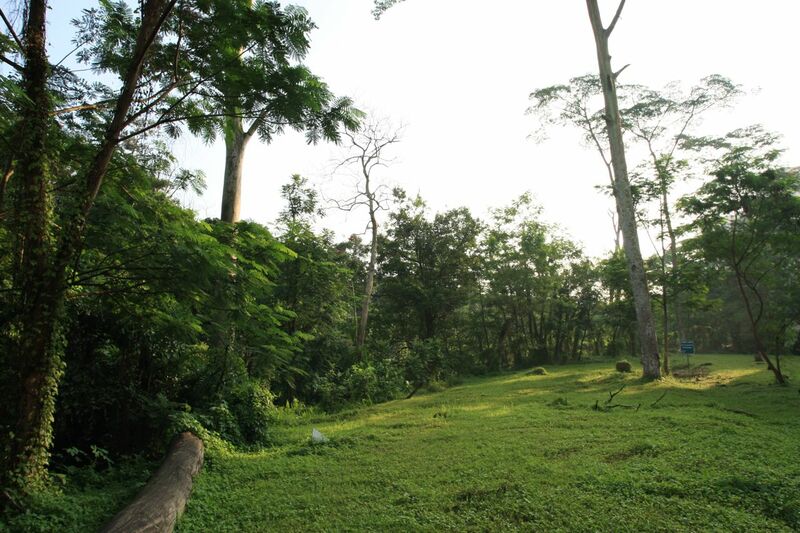 Now, I shall let my photographs do the talking ….. Don’t forget to follow “We Support The Green Corridor in Singapore“! iPhoto.org is launched! Free web photo album online for my photos sharing. Tutorials of light and large format photography on the net…. 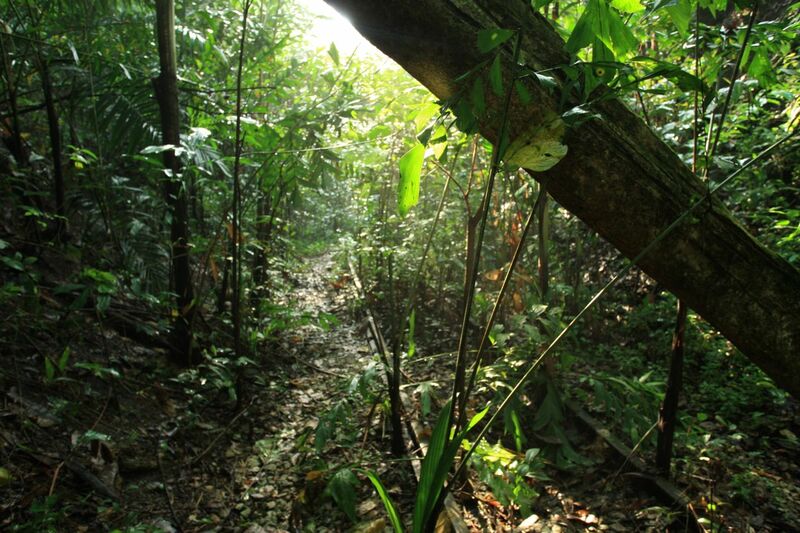 I always interested in the jruong railway track…thinking of trekking the sunset way to Bt Timah…but not sure how long will it take to do that and are undergrowth too much to cut thru. Also…was at the Bt Timah Railway before removal but did not find the connecting rail that joins to the main rail?? Has it been hidden and detached?? Saw the tunnel under Clementi Road but the slope was too steep to go down…hear from you soon. Thanks for your dropping by!! Sorry for replying late!! 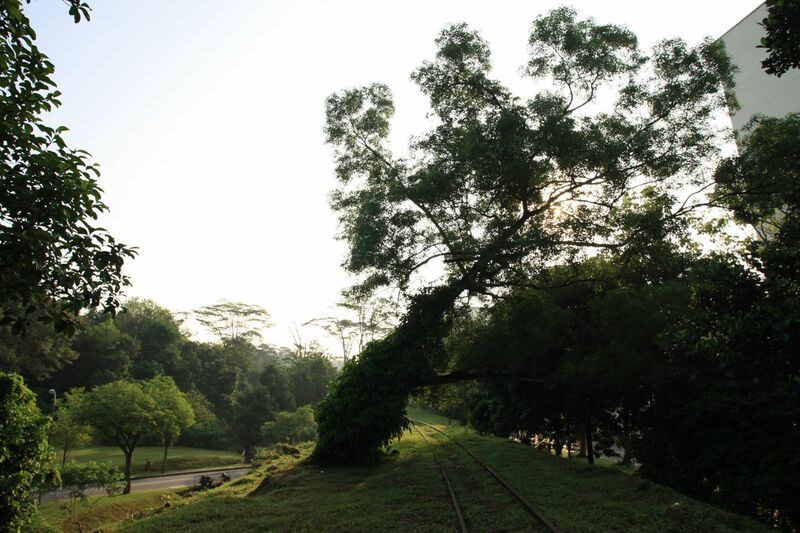 The Old Jurong Railway can be tricky from the segments of Teban Gardens to Faber Hills/Faber Heights and from Sunset Way to Bukit Timah Railway Line. The undergrowth is dense and very challenging, very muddy and you have to be prepared to climb up and down, over and under fallen tree trunks, branches. As for the tunnel, the slope down from Clementi Road is a bit steep if u are exploring by the way. The easier route leading to the tunnel is from Sunset Way, near the small metal bridge above the Sunset Way road and start trekking from there. Do explore with a group of friends, you can help to take care and look out for each other.